Here you will find some helpful tips on maintaining your newly-planted or well-established landscape. For specific tips and information, you can always call us at 860-872-7291, e-mail us at info@gardenbarn.com, or stop by our store at 228 West Street in Vernon. New plants should be well-watered throughout their first growing season in the ground. It's important to only water the roots of the plant so it gets as much moisture as possible. Watering the foliage of any plant can cause burning or an accumulation of mildew, fungus, or mold. For the first 2-3 weeks that your plant is in the ground, it should be watered every day. Using a standard garden hose, perennials require 10 seconds of watering, shrubs require 20 seconds, and trees need at least 60 seconds of water. After the first 2-3 weeks, you may be able to decrease your watering schedule to just a few times a week (depending on the season and the environment). At this point, it is good practice to allow the soil surface to dry out between waterings. Once your plants are established (after a year or more in the ground) they only need water weekly during dry spells. We recommend using a water breaker hose attachment, such as a Dramm water breaker, to ensure gentle watering of delicate plant material and recently worked soil. Using too much pressure can wash away loose soil and damage new plantings. We recommend fertilizing your plants upon installation, as well as every spring thereafter. If the Garden Barn installed your plant material, it has already been fertilized for the year. Depending on which brand of fertilizer your prefer, the application amounts will vary (use as instructed on the container of your fertilizer). We prefer Espoma products such as Plant-Tone and Holly-Tone or a slow-release fertilizer such as Osmocote. Gardeners traditionally use mulch to insulate their landscape beds. Mulch benefits your garden by retaining moisture, preventing weeds, and regulating the soil temperature. The downfall to using mulch is that it decomposes over time and must be replaced every few years. Another option is using stone instead of mulch. Stone will provide the same benefits for plants as mulch does, except it will not decompose. Stone is harder to move, however, and can radiate heat back at the plant material around it, so it is important to consider the location of your beds when making a choice between the two materials. When spreading stone or mulch, it is advised to use weed mat (landscape fabric) as a barrier between the soil and the top dressing. This barrier will help prevent weeds and can last up to six years. Mulch should be spread in a thick layer of 2-3 inches for maximum efficiency, taking care to avoid the area touching tree trunks or the base of a plant. Using mulch directly against a plant can retain moisture and lead to rot. 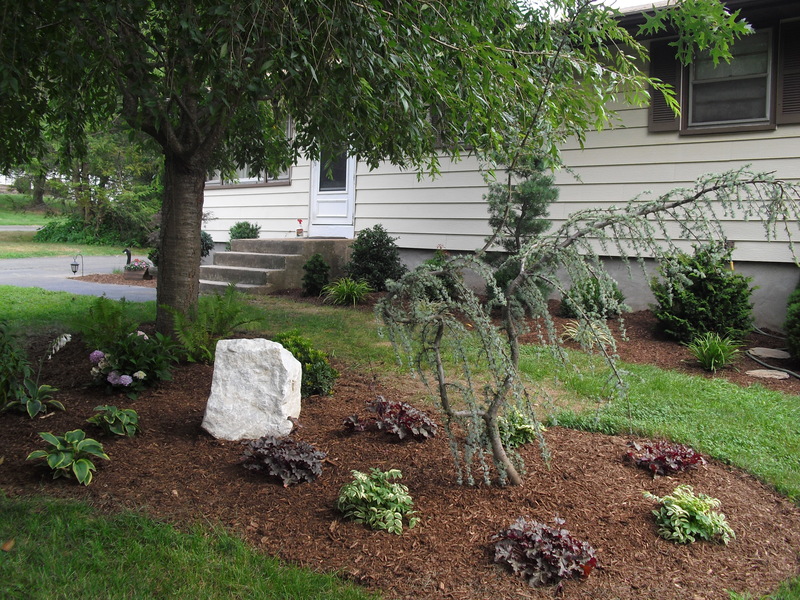 For our mulch/stone selection and pricing, click here. Pruning is recommended for many trees, shrubs, and perennials. It helps promote flower growth and a full shape overall. Most flowering shrubs can be pruned after they're done blooming. Roses, including Knock Outs, should be cut back in early spring to approximately one-third of their overall height. Some hydrangeas can be pruned after May 15th, but depending on the variety, they may not need pruning at all. If you have hydrangeas, become familiar with each individual variety as they tend to have different needs. For additional information on pruning hydrangeas, see this website. Most non-blooming evergreens (plants that do NOT lose their foliage) should be pruned for shape in early to mid spring. Perennials and grasses should be cut back between late fall and early spring at the gardener's discretion. While mulch and stone can help prevent weeds from growing, it is a good idea to apply a pre-emergent before spreading your mulch or stone. Preen is a product we recommend to prevent the germination of weeds in the future. It does not kill existing weed roots, so it is best to remove perennial weeds before applying Preen. Preen can be applied every year from April to late June. When combined with a thick layer of mulch, Preen will keep your garden beds from being infested with weeds. To protect your evergreens (plants that do NOT lose their foliage) over the winter, we recommend Wilt-Pruf. When applied in November, Wilt-Pruf will help protect your evergreens from drying out during our arid New England winters. For details on applying Wilt-Pruf, click here. 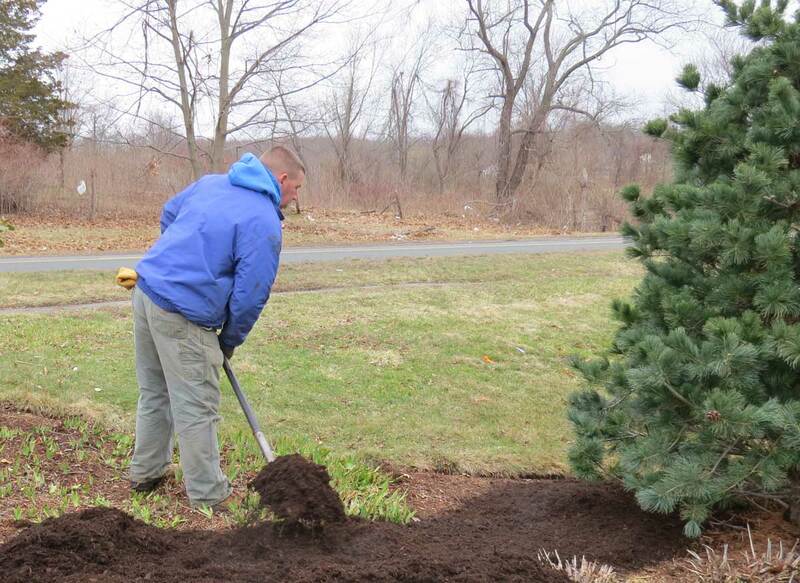 It's also important to protect any newly-planted trees for their first three winters. To prevent the trunks of your trees from cracking and splitting, wrap them with paper tree wrap or vinyl tree guard which you can find at our store. If you feel too overwhelmed with maintaining your landscape, don't worry! We can do it for you. Our trained landscape crews can keep your gardens healthy, happy, and beautiful throughout the seasons. No job is too big for our landscapers and the finished product will be sure to please. 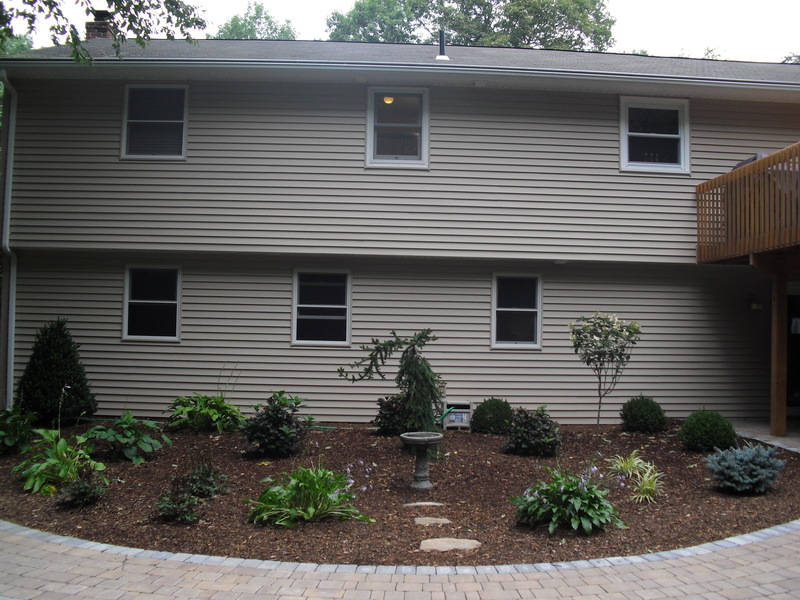 Check out some of our past landscapes. If you have any questions about our landscaping services, feel free to e-mail us at landscaping@gardenbarn.com.